Sunrise listening to Tycho while laying in the grass at Cosmic Meadow. The Kandi are all from exchanges with different people I had met. 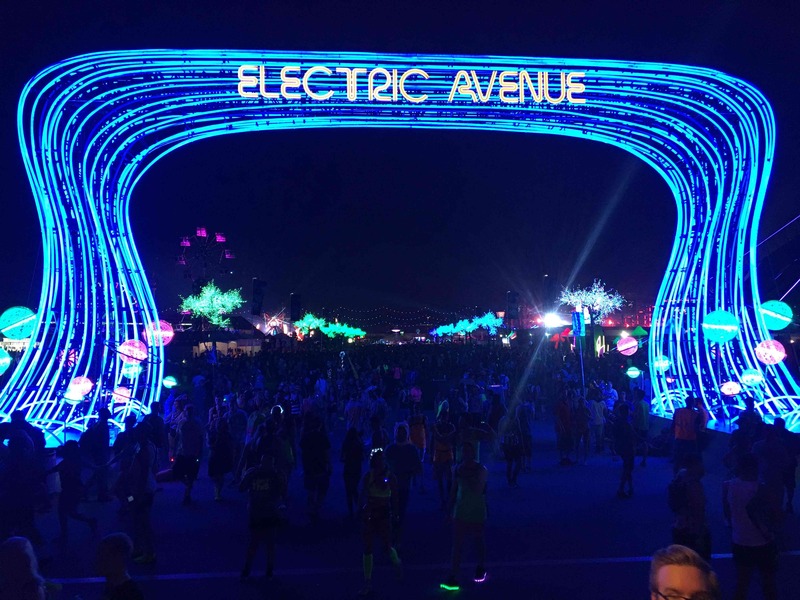 My biggest worry going to EDC was that the core part of rave-culture that I identify with (PLUR – Peace, Love, Unity, Respect) wasn’t going to be revalent since EDC is such a large and commercialized experience. I’ve found the PLUR vibe to be hit or miss at shows as EDM has gotten popular. However, I was happy to be wrong. Despite a few times where people were looking out for #1 pushing through a crowd or budging in line I very much felt the togetherness atmosphere. People were quick to say I’m sorry and support someone when bumping into them, appreciate each other’s creativity in costume or totems, kind and giving sharing things like diffraction glasses which make watching sets super fun and trading kandi. 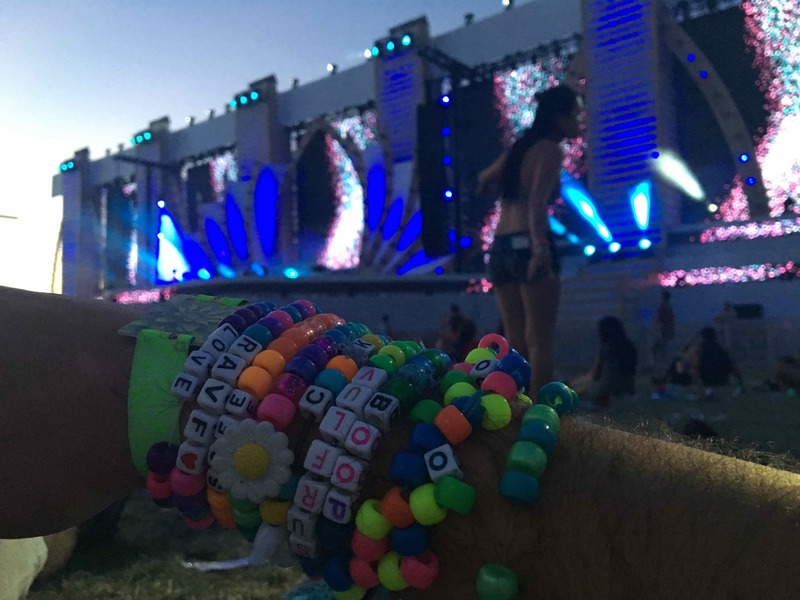 I’ll add that trading kandi is probably one of my favorite things since I use it to make positive connections with strangers. Close up of some totems. Don’t worry, everyone in the duck group had the shorts to match. The other parts of rave-culture I thoroughly enjoy were also alive. 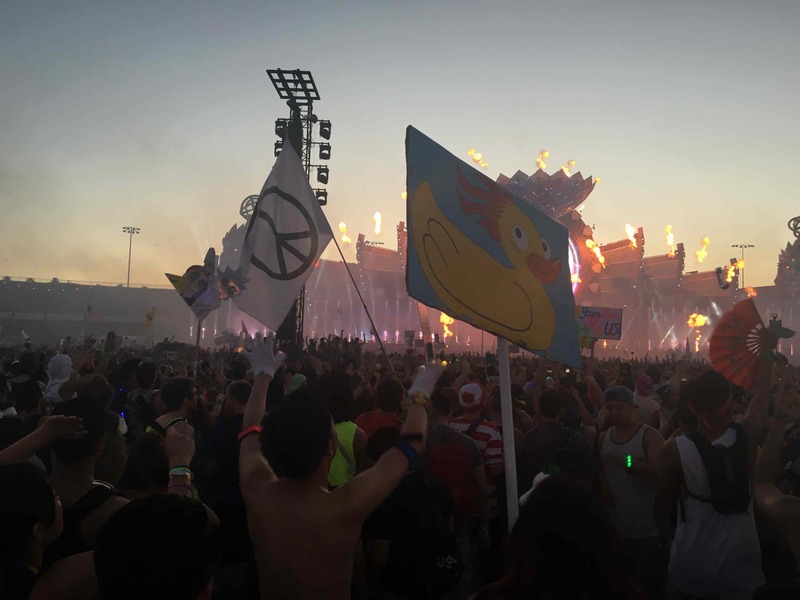 Creativity and individualism on the scene with lots of really fun totems and rave attire. This is the line at sunrise to get on a shuttle. Just two more hours until bed. 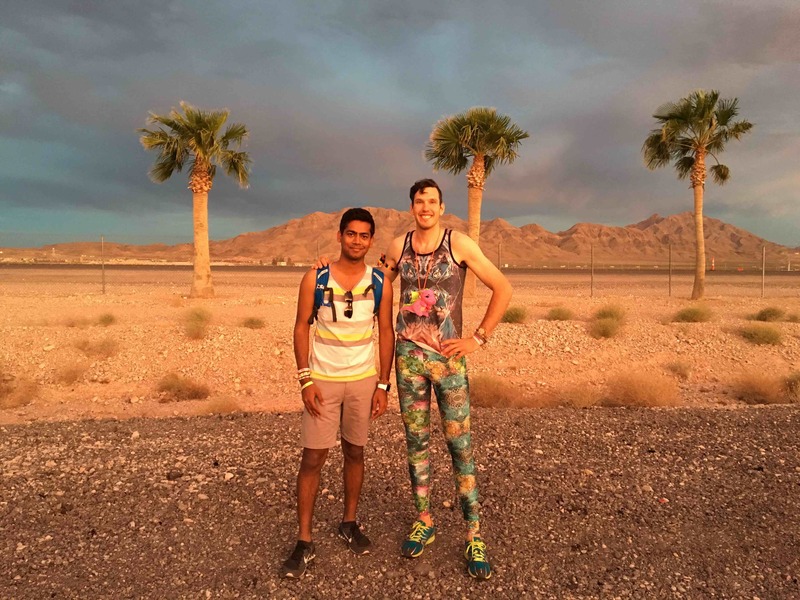 I went all three days of EDC, sunset to sunrise each time. Saturday was definitely the best day for music with more big artists with amazing sets then I could see. Sunday had few huge artists and was good for experiencing newer talent. Friday was mixed between the two. I bought my tickets on stub hub after they sold out without problem, stayed in the Luxor hotel and used the shuttles to get from the strip to EDC. One thing I didn’t realize is that the Las Vegas Speedway is SO FAR away from the strip. Also it turns out that when you have 130,000+ people at an event logistics become a nightmare. It typically took 2 hours between a shuttle line and the ride to get from one place to another. Which wasn’t so much of a problem except the sleep deprived first day before I transitioned to my sleep schedule. Press me, I’m a video. I think the price of the EDC ticket was worth it because it would cost more to see all these artists individually, each artist brought their top effort and I wouldn’t have otherwise seen them in venues like this. My favorites by day were Kascade – Friday, Above & Beyond – Saturday and Tiesto really killed it Sunday. 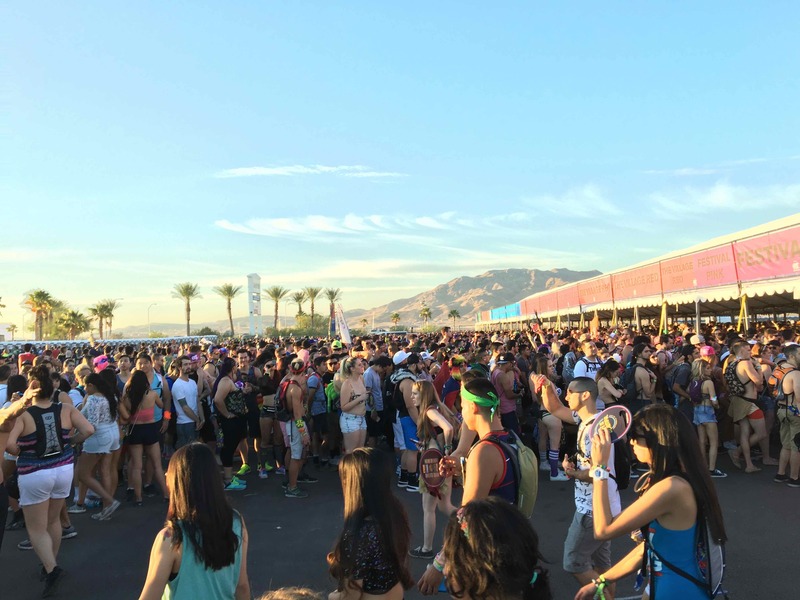 Other noteworthy sets were NIGHTMRE, Armin van Buurin, Alison Wonderland and Galantis. As said earlier, there were so many amazing sets on Saturday I missed some I would have loved to see just because they were playing at the same time. My friend said the set from Axwell /\ Ingrosso was his all time favorite, but I missed it to see Above & Beyond’s whole set. 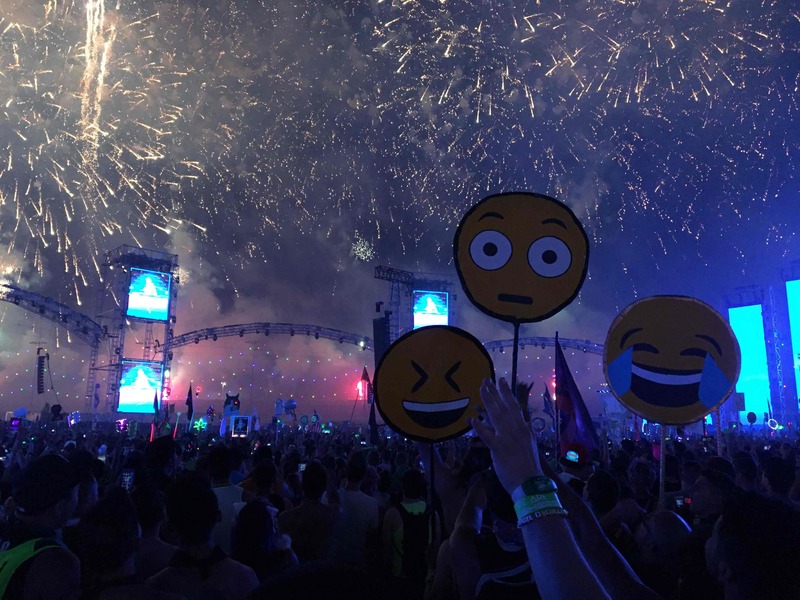 Which… I’m still happy with because Above & Beyond’s performance was like a beautiful art piece where they displayed powerful imagery overlaid with textual messages from the artists. Things like “never lose hope” or “love conquers all” over a video of characters expressing themselves or searching for each other. The music, message, visuals, lights, fatigue and sensory overload all combined to make this set extremely memorable, personal, touching and a little emotional. I’ll never forget it. I found the layout and artwork of the stages phenomenal. The synchronization of lights, visuals, fire and fireworks really set up the music sets to be great. 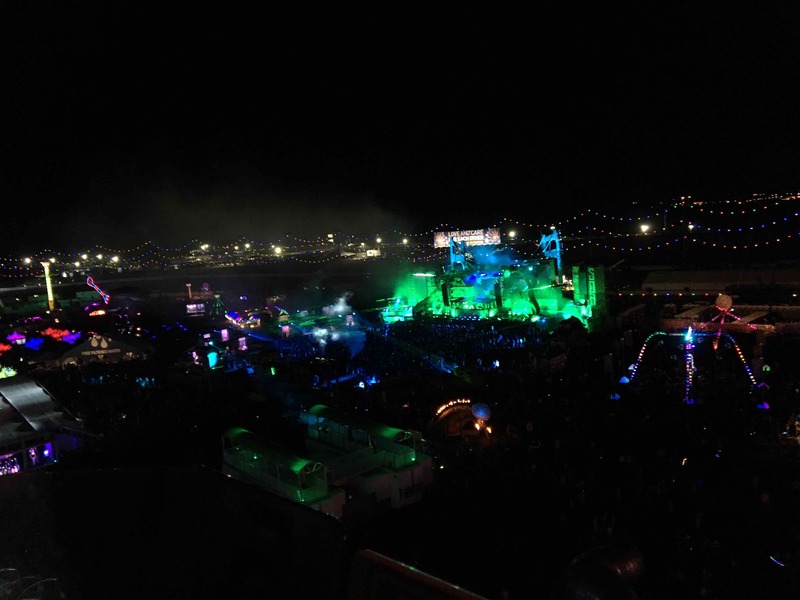 This is what Insomniac really does well and a major reason why EDC Las Vegas was worth attending. Outside of the stages the art felt pretty typical of festivals: router-cut structures, some art cars, glow-trees, etc. My comparison for doing art well is Burning Man. One surprising thing is a saw fairly few performers, but the propaganda for EDC made it feel like they would be everywhere. I’m not a fan of carnival rides or the very expensive carnival food, drinks, etc. However, it was worth it to go up the Ferris Wheel for a high level view of the entire festival. You might wait in like for 45 minutes, but you can still jam to the nearest stage. It is essential to bring a camel back for the refill stations. It is super hot (100 even at dusk on Sunday), easy to get dehydrated and there are a lot of plastic bottle trash tripping hazards in the dance areas. The event has cash only, um… I didn’t read this anywhere beforehand but this would have been nice to know. Bring things to share. A spray bottle, fan, diffraction glasses, kandi, etc. I feel so much more a part of the culture through these random acts kindness / sharing things. Bring snacks. Most our hotel/casino restaurants were closed in the off-hours we ate. The EDC Las Vegas App was really good. Download it.